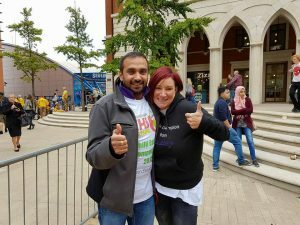 Birmingham Chilli Festival is over for another year and this year a fierce battle was held between Lou Witterick the current Birmingham Chilli Queen and Pavinder Kheal the 2016 Warwick Chilli Festival King. The battled against each other for over 1 hour in Brindleyplace Central Square where at the the end they were eating Carolina Reaper & 7 Pot Brainstrain Chillies dabbed with 6.5 SHU Extract like sweets when we had to call a holt to the contest and declare a draw thus we now have both a Chilli Queen & King of Birmingham. 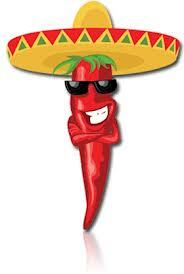 The annual Birmingham Chilli Festival will be returning to Brindleyplace on Saturday 16th September. Now in it’s 7th year it will feature a schedule of live music and street performances alongside the popular chilli-inspired food market. Unfortunately it is with great regret I have to inform past contestants and supporting spectators 2016 saw the last of the popular “Birmingham Chilli Challenge” and due to circumstances beyond Holly And The Ivy & Firefoods control it has been decided NOT TO CONTINUE THE “CHILLI CHALLENGE” AT FUTURE CHILLI FESTIVALS AT BRINDLEYPLACE. If you wish to see the 2016 Birmingham Chilli King & Queen (Lou Witterick and King Parminder) and other Chilli Heads battle it out in 2017 they will be at the Warwick Chilli Festival on the 9th July 2017 at 15:00 in Warwick Market Square as part of the successful Warwick Chilli Festival.